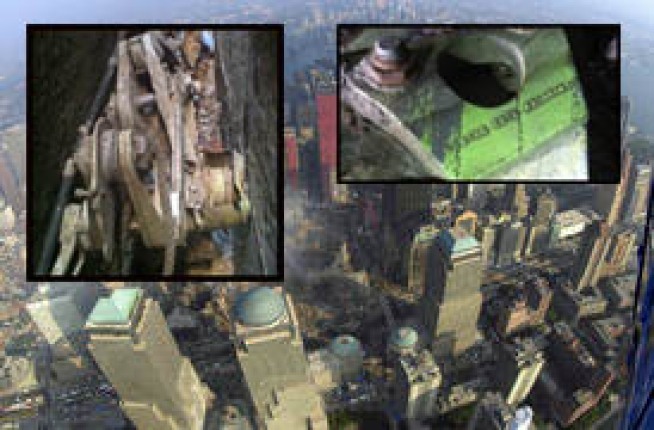 Somehow, almost twelve years later, a five-foot chunk of debris has turned up near Ground Zero that could be part of a plane that hit the Twin Towers. 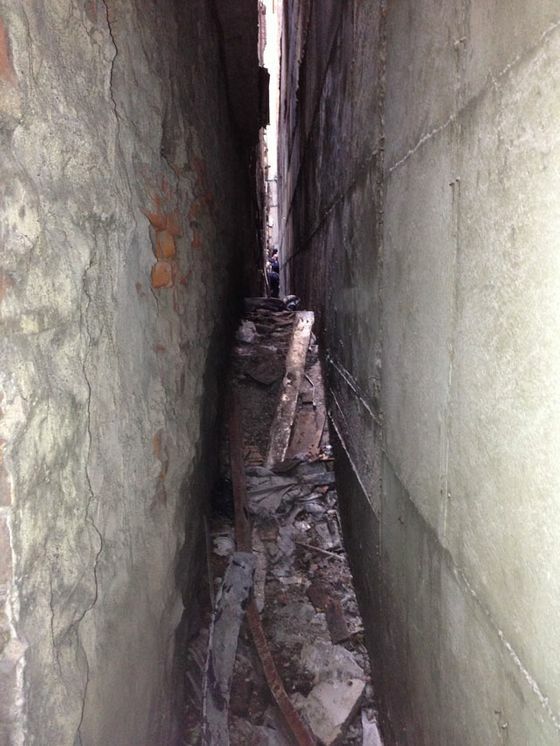 NBC reports a mechanical part "was found wedged between two buildings in a very narrow alley between the back of 51 Park Pl." — a.k.a. the "Ground Zero mosque" — "and the back of 50 Murray St." The piece "bears a 'Boeing' stamp, followed by a series of numbers" and might be landing gear. (Both American Airlines Flight 11 and United Airlines Flight 175 were Boeing 767s.) The NYPD said in a statement that it has secured the location "as it would a crime scene," until a medical examiner investigates. The truthers must be going nuts. Tragically, the process of construction crews uncovering new debris, including human remains, is ongoing. Today's discovery could mean a new sweep of the area. It was found behind that cunting mosque. Oh how convenient. A chunk of an airplane just happened to "turn up" all these years later. They're not fooling anyone with this false flag thermite Gulf of Tonkin black op. The truthers must be going nuts. Alex Jones put it there to test our faith. Pray that we pass the test and remain trendy. Have they looked under the sofa cushions? 'Cause that's where I always find things. good point on the truthers mr sin. Reports this morning are it's a piece of landing gear. I pass by that thing almost every day. But there never were any planes that hit the buildings. Those were 3d holograms.... This is all a distraction to bankrupt the country. I's a lie, mannn. Missiles don't have landing gear. It is just a way to pick on Islam again. I's a lie, mannn. Missiles don't have landing gear. Yeah, right. And penguins can't fly. Anything they find from either plane should be called the landing gear because they would be the only parts that actually landed.